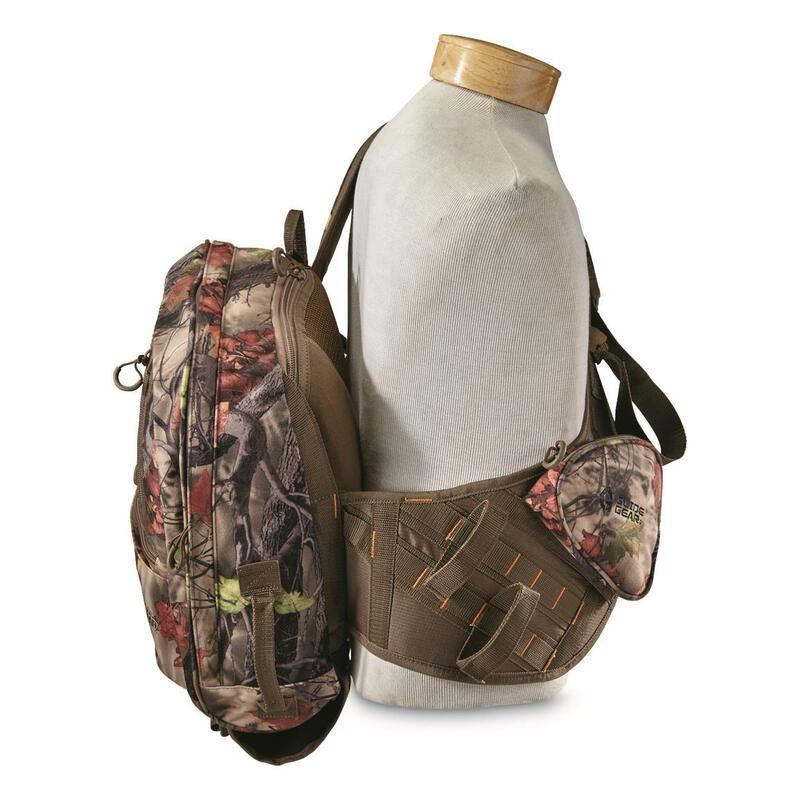 Carry your quiver on your hip instead of your bow! 16" x 3" x 18"h., 2 lbs. A revolution in simplicity! 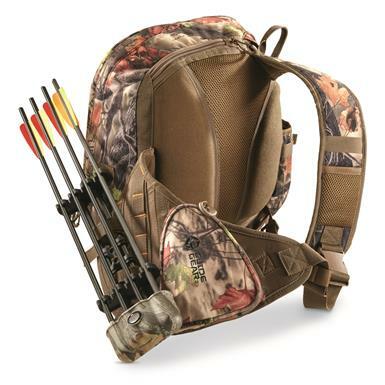 Our Guide Gear® Archers Quiver Pack allows you to attach your quiver at your hip instead of on your bow. 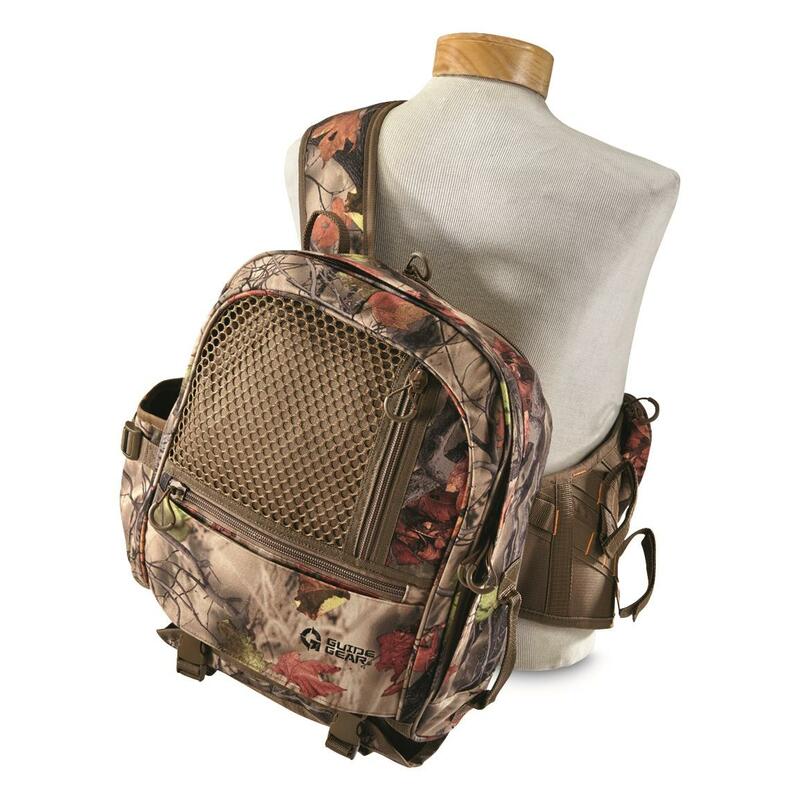 Plus, it offers roomy storage and multiple pockets—inside and out— that make it great as a day pack. 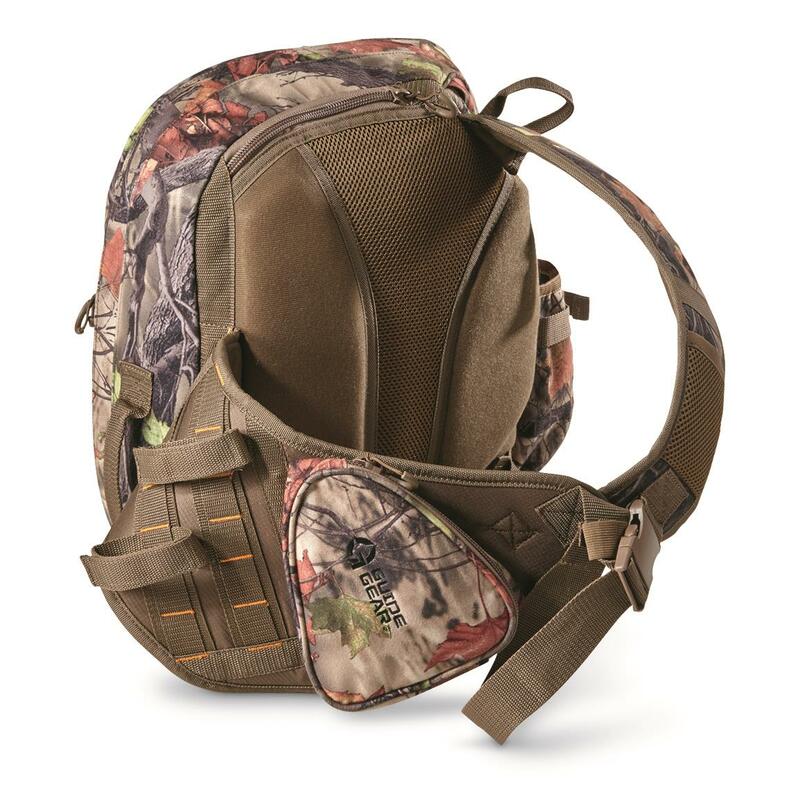 Side pocket for calls, water bottle, etc. Capacity: 14 liters / 864 cu. in. Dimensions: 16" x 3" x18"h.